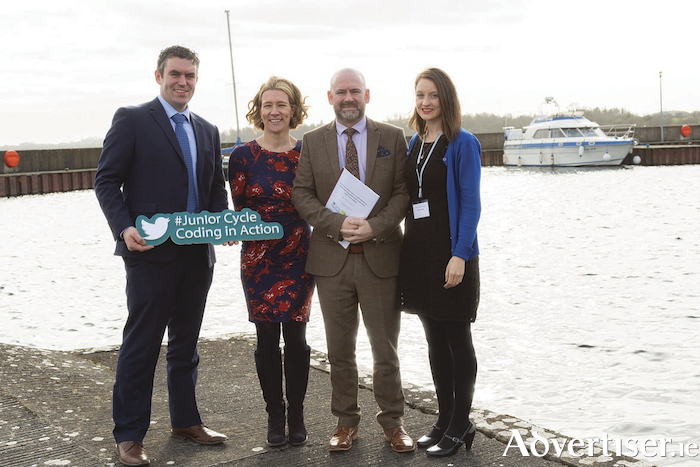 Pictured at the launch of the interim review of the Junior Cycle Coding in Action initiative at the Hodson Bay Hotel, Athlone, were (from left): Gerard Duff, technologies team leader, Junior Cycle for Teachers; Clare McInerney, education and public engagement manager, Lero; Dr Padraig Kirk, director, JCT; and Una Fleming, National Centre for STEM Education at the University of Limerick. Photo: Louise McCormack, Twisted Pixels. The International School of Make-up Artistry has been in business for more than 30 years, specialising in make-up artistry. The school's trainers are all highly skilled with many years' experience in the industry and are eager to share their knowledge with the students. The school offers a variety of courses to suit all ages and levels. Whether you want to upskill and add to your existing qualifications in beauty therapy or make-up artistry, or you are starting from the beginning, the school can offer suitable courses for all levels. The fashion, media, and special effects diploma course is the perfect option for those who would like to become professional make-up artists. This course spans one academic year, and can be completed on a full-time basis. Students receive an internationally recognised diploma in fashion, media and special effects make-up on completion. Many of the school's graduates are now working for themselves as successful make-up artists, in Ireland and abroad. Others are working for cosmetics companies such as MAC, Estee Lauder, and YSL as make-up artists, trainers, and managers. This course covers all areas of beauty make-up and students have the opportunity to complete a professional photoshoot as part of their training. A MAC make-up kit is also given to each of the diploma students at no extra charge to the course fees. The School of Make-up Artistry also offer part time diploma courses, which take place over five months, suitable for beginners, and higher level options are also available. This part-time course covers the application of day make-up, evening make-up, bridal make-up, and more. The ITEC lecturing diploma course is another option for those who would like to be qualified to teach in an ITEC registered training college. This course can be completed on a part time basis, from October through to July. Contact the school for an appointment to visit and discuss your course options. For more information on any of these courses, contact 087 1214678, and speak with the school's manager, Katie, visit www.schoolofmakeupartistry.ie, or email [email protected].